A lockdown at several Senate buildings Monday was lifted after two hours following a shooting at D.C.'s Navy Yard. 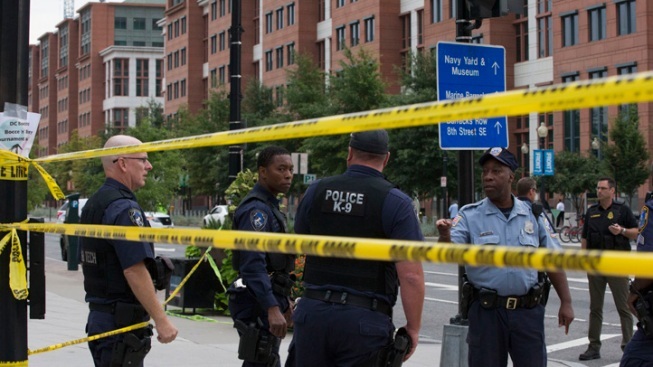 At least 13 people are dead after the shooting in a heavily secured building at the Navy Yard, including 34-year-old Aaron Alexis of Fort Worth, Texas, who was identified as the suspected shooter. As a precautionary measure, Senate buildings were placed on lockdown around 3 p.m. for two hours, but a partial lockdown lift was enacted around 4:30 p.m. The House was not in session Monday, which is why it was not placed on lockdown. The incident has also prompted the Washington Nationals to postpone their Monday evening game against the Atlanta Braves to Tuesday at 1 p.m.
Stay with NBCWashington.com and News4 Washington for more on this developing story.